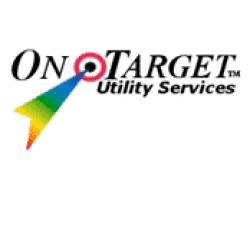 US Infrastructure Corporation (USIC), is pleased to announce On Target Utility Services as the newest addition to the USIC family. Since 1994, On Target has grown to be the largest underground utility locating company in New England, representing more than 31 electric, telephone, cable and gas companies in the region. Headquartered in Gardiner, Maine, On Target enlarges USIC’s existing locating footprint in several states, including Maine, Vermont, New Hampshire, Connecticut, Massachusetts and Rhode Island. For USIC, this transaction adds more than 280 technicians and strengthens its ability to service new and existing customers in the Northeast. Both organizations will benefit as they combine to lead the industry in safety, quality, technology, and breadth of service offerings. This partnership further expands USIC’s diversification of services with the addition of utility services like metering, storm restoration, telecommunications, smart grid and power line solutions to provide even more support for our customers.